We are living in a time of extreme inequality: America’s three richest people now own as much wealth as the bottom half of the population. Although most accept that this is grotesque, many politicians accept it as irreversible. 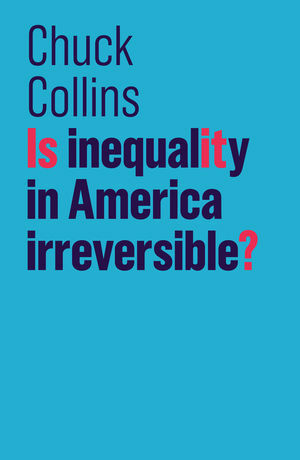 In this book, leading US researcher and activist Chuck Collins succinctly diagnoses the drivers of rampant inequality, arguing that such disparities have their roots in 40 years of the powerful rigging the system in their favor. He proposes a far-reaching policy agenda, analyzes the barriers to progress, and shows how transformative local campaigns can become a national movement for change. This book is a powerful analysis of how the plutocracy sold us a toxic lie, and what we can do to reverse inequality.